Over the years, I've had the privilege of working with some amazing people. Ryan was absolutely great right from the start. In our initial meeting with him, he was so personable, and we got to view his portfolio in person which made us love his work and style even more. From the time we booked him, until the day of the wedding, he was always available and easy to communicate with. He made suggestions for our timeline for the day of, and his experience and professionalism really showed and was so helpful. The day of the wedding he went above and beyond. He arrived early to scout the location, stayed late when our schedule got behind, and just nailed it by capturing everything that happened in such a beautiful way. My husband and I are a little camera shy, but Ryan definitely put us at ease and just captured everything that happened in such a non imposing way. Our photos from the day are gorgeous, everyone loves them, and they are all over our home. His photography of our day was so wonderful, it's been featured in WI Bride several times since then, and was such a value in terms of price. Ryan really cares about his clients and loves his job, and that is what really makes a difference, and we will be enjoying his photos for the rest of our lives! Ryan doesn't just provide the service of being your wedding photographer, he takes a personal approach to every couple and shoot he does. Upon our first meeting, I instantly felt comfortable with Ryan as if he was an old friend. He jumped at the opportunity to travel to Philadelphia for our engagement shoot and put us at ease and took the time to get to know us as a couple and our personality so he knew what to capture on our big day. Moreso than the beauty and personal touches he included in our post-wedding photography package, I appreciated his constant ability to put me at ease. The weeks leading up to the wedding were stressful and crazy and Ryan was AMAZING. I reached out to him for recommendations from everything to videographer, flowers and even hair. We planned our wedding in MN from PA and he was able to help me nail down a day of timeline and took everything into consideration. His artistic style was everything we were looking for and his ability to capture candid moments of stolen glances during the day are some of the most precious photos. If you're looking for the personal touch of a friend with an amazing artistic eye, then look no further! My husband and I wanted someone out of the ordinary who could capture our wedding day in an artistic, thoughtful way. Ryan did that and more. Simply put: His work is unique. His photos are just stunning and they are nothing like what you see in typical wedding photography. He's innovative in his methods and he's incredibly talented. Hire Ryan if you want a photographer who truly cares about his clients. We were literally speechless when we first looked through our wedding photos. And we'll cherish them for a lifetime. Ryan is amazing -- honestly, the best, most creative photos. We have used Ryan for our engagement photos, wedding, maternity, and family photos (a few times!). He's even traveled to TX to take our photos! ALL of the photos Ryan has taken for us are treasures, and gifts we will cherish always. He captures these really important moments in our lives -- the really good stuff that life is all about. I would recommend Ryan to anyone, a thousand times over. We feel so lucky we got to have Ryan do our engagement/ family shot and our wedding. He is beyond talented- his eye is amazing and he does an incredible job capturing emotion and "the moment". We were drawn by his artistry and have been so impressed with how he captures the usual in unusual and beautiful ways. Ryan was so easy to work with- we felt completely at ease. Thank you Ryan! There are truly not enough good things I can say about Ryan and his work. He is truly an artist and brought so much joy into our lives throughout the planning process and especially on our wedding day. From our initial meeting, an engagement photo session, planning meetings at coffee shops and the actual wedding day, Ryan has been on our side. He makes you feel like you're the only client that matters, so much so that I wonder how he has so much time to do such great work for everyone he photographs. Of course, the photos are absolutely stunning. Ryan found a way to make everyone look great and captured everyone as they truly are. He got all of the emotion, the details and the love that was in our wedding day. We are honored that we were able to work with Ryan for out wedding and can't wait to do more work with him in the future. Ryan was a delight to work with. I can't say enough good things about him. We wanted photos that captured our wedding day as it occurred and that held emotion so that we could instantly be brought back to these moments in time. He was flexible with timing of the event (how many hours he could cover), was so easy to work with, and everyone loved him! I especially liked that much of the day, we forgot a camera was following us wherever we went, but that he got photos of all of the things we asked for and way more. We loved the packaging of our photo files after the wedding as well as an easy to use gallery to order prints from. The prints were top-quality and we are glad we ordered them! 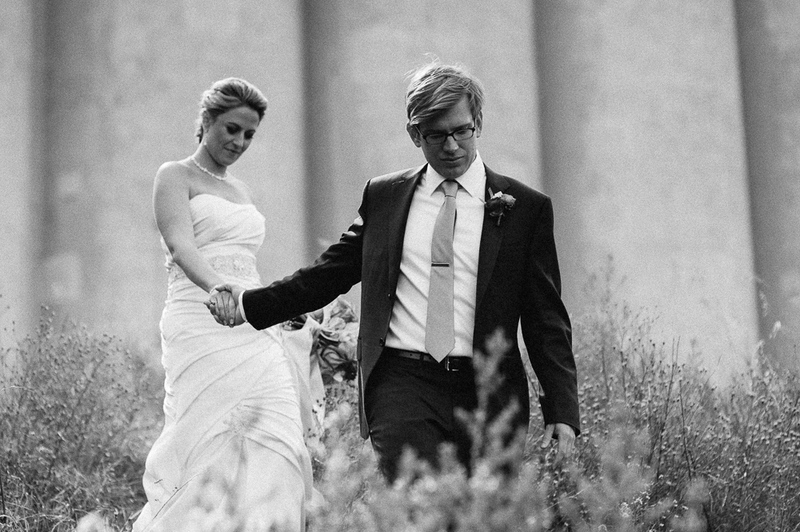 We have hired Ryan for other life events since our wedding and couldn't be more pleased. Ryan is an amazing photographer and artist. I interviewed him in the winter for our wedding in September and didn't feel the need to interview anyone else. We are a couple that really dreads posing for pictures and taking photos, but the style that he described he definitely delivered on and it made us feel at ease during our wedding day. His casual and "fly on the wall" method was completely effortless, which is just how the photographs look. He seemed to be everywhere we weren't able to be on that day and really captured emotion and the personality of the people he photographs. Beyond his art, Ryan is a joy to be around! We will use him in the future whenever we have a need for a professional photographer. Ryan photographed our wedding day so perfectly. He was able to flow and capture a sporadic mostly unplanned day in a way that shows so much intentionality and honesty- and he has an ability to make two camera shy people feel at ease. He took a personal interest in us and who we are and it really shows in his work. We are so thankful for his contribution to our wedding day and for the heirlooms he created for us and our future family.